Crafting a killing job application can change your fortune. Job application forms demand specialized structure according to the related profession. When you plan to join a particular company, you need to tailor the application form in a manner that has a good compatibility with the profession. Based on these, the application format varied from one industry to another. Check out the Application Forms – file format below to get a concept about the structure and uses of the forms. 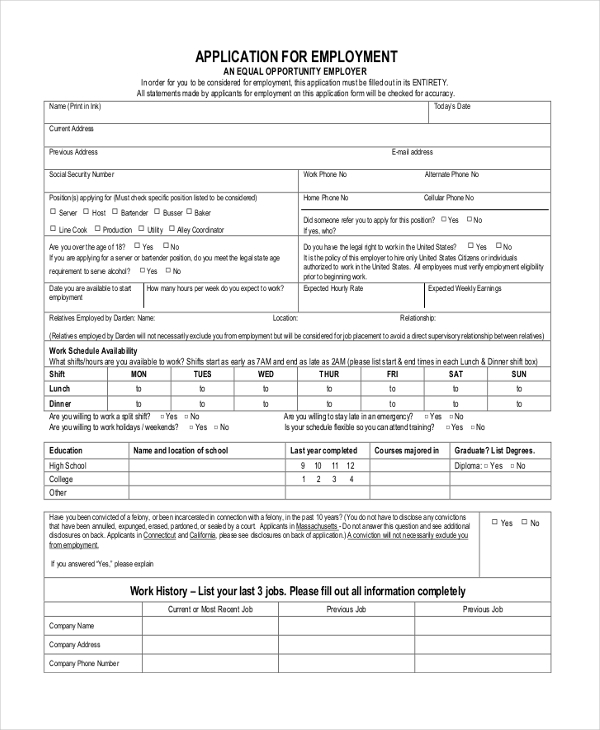 This application form can be used to apply for jobs in any given industry. The job position, working hours and other details are included in the first section. The personal details, experience, and other information are presented in the blank areas in different sections. Here a tabular format is used to specify the personal details of a student. Then the prior experience is shared in rows and columns. The educational details are included in the end. You may also see Grant Application Forms. 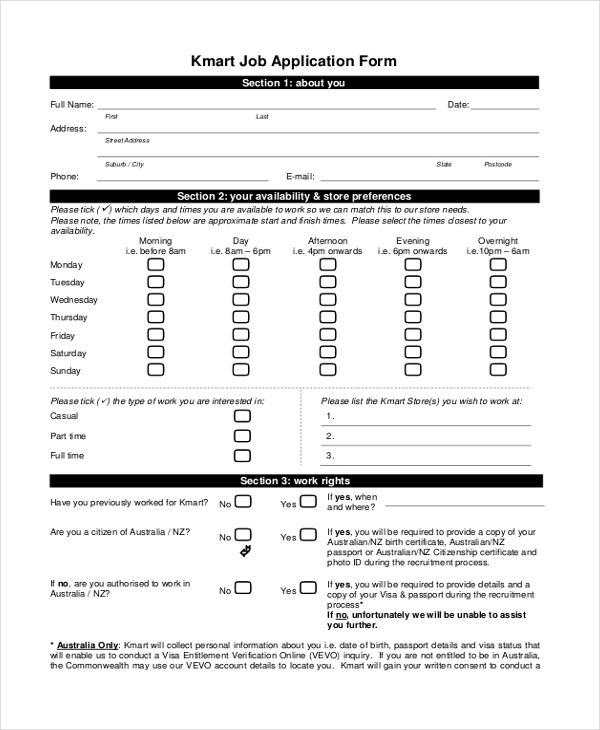 In this application form, the first section includes information about the personal details of the employee. Then the availability, store preference, work rights, work experience, childhood employment and other information is included in the template. In this template, relevant information about the job is included in a tabular format. This consists of the personal details, skills, qualifications, previous work experience and other details required by the company. You can also see Passport Application Forms. The first section includes information about the job profile. Then the personal details and work history are included in the application. The application ends with the declaration statement. This form is a perfect mix of a resume and a questionnaire. The personal information, work history, educational qualifications and other specifications are included in the application in a tabular format. 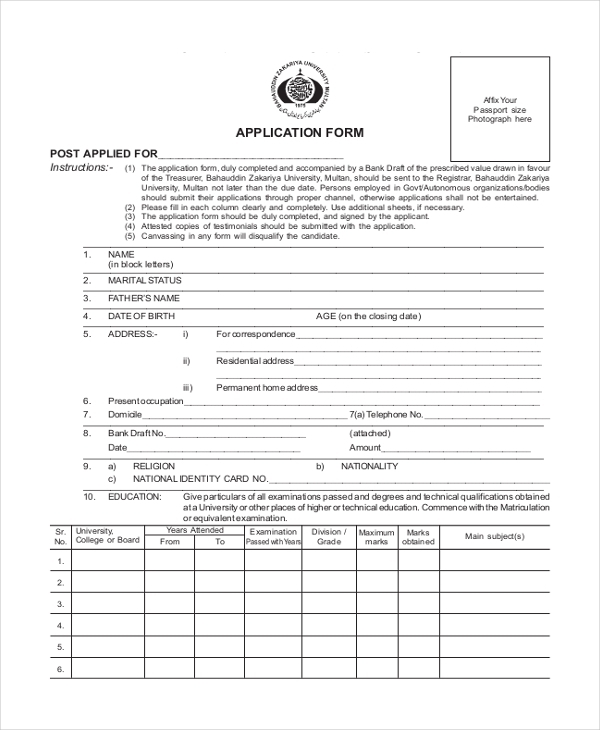 You may also see Application For Employment Forms. In this form, there are a few options for the job position. The personal history, work experience, and other information are included in the template. You need to choose the right information from various options here. 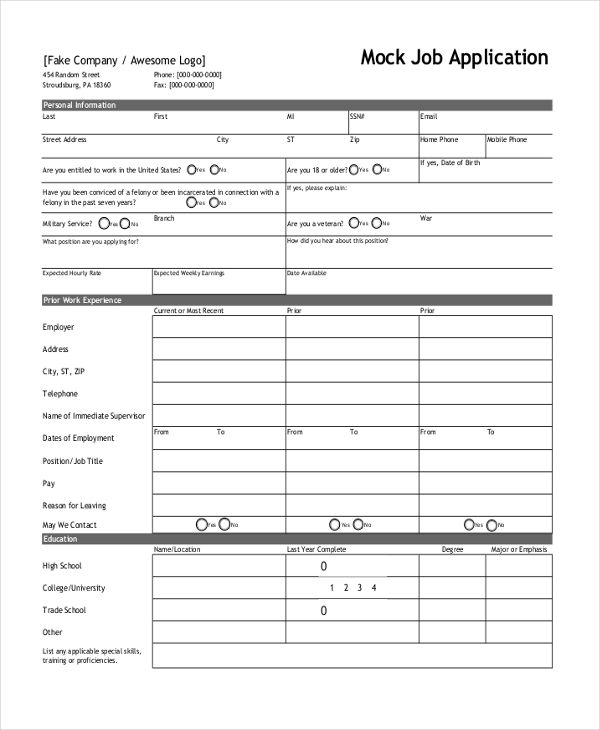 The personal information is presented in the upper half of the application form. The educational qualifications are incorporated in a tabular pattern. This format is followed to present rest of the information. 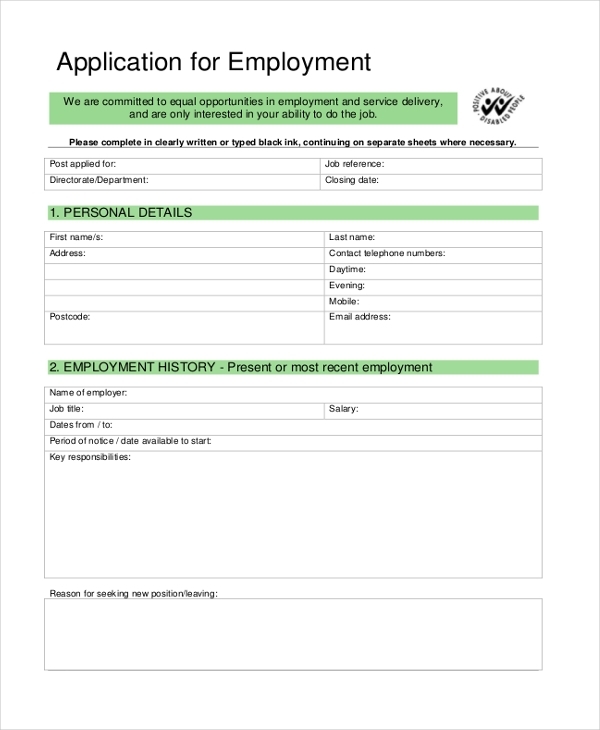 You may also see Sample Employment Application Forms. The job applications streamline the career of the professionals in the desired lines. In a competitive job market, it is difficult to get a job in a reputed company. When you develop the applications with specific inputs about your professional profile, you can boost up the chances of getting selected for the posts. The information in these job application forms can be easily scanned and the recruiters can find the required information easily. Therefore, they make an application more presentable. 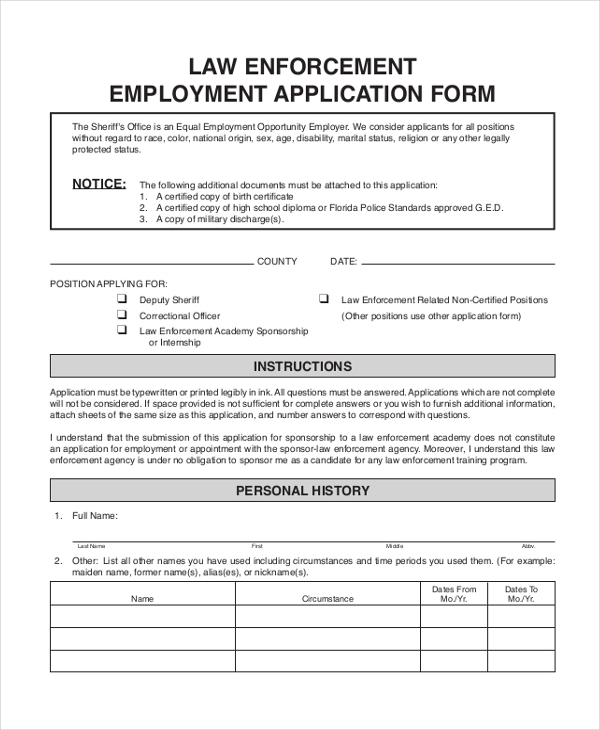 You may also see Employment Application Forms. 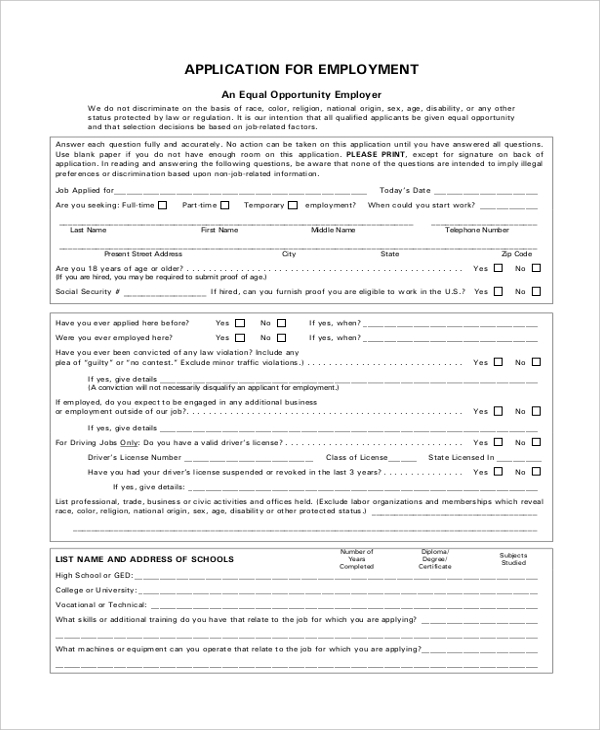 Job application forms are written by different employees for their specific industries. Thus, the structure and format of these applications call for specialization, according to the trends in these industries. Th recruiters look out for the crux of the professional life of an individual and when the applications are well-formatted, it is easy for them to summarize the profile. Hence, if you plan to join a company or opt for a career change, it is necessary that you avail the right job application form. You can also see Sample Application Forms. Job profiles are greatly varied, and hence, one needs to be specific about the information presented in an application form. You may need Generic Job Application Forms to get an overall concept about the formatting and style. Browse through the website to find relevant files and use them to steer your profession.